New Orleans has so many historic sites, famous land marks and well-known neighborhoods, each with their own history and cultural influences, that it can be difficult deciding where to begin! 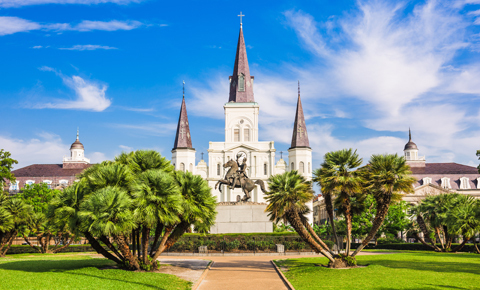 Start out with a city tour to experience the French Quarter, Jackson Square, the Garden District, and all the other “must see” destinations in one of America’s most colorful and diverse cities. And don’t forget about the cuisine! Visitors keep returning for dishes ranging from Cajun specialties to local seafood to internationally-known delicacies. Take a class at a cooking school for added insights that will help you take the taste of New Orleans back home. But there’s plenty more to see beyond the city of New Orleans. A swamp tour offers a leisurely cruise through the mysterious bayous and backwaters, where you can get up close and personal with 10-foot alligators, long-legged waterfowl and exotic subtropical flowers. On the plantation tour, visit luscious gardens and authentic antebellum mansions, then relax in a rocking chair on the porch of a historic antebellum mansion while gazing at the murky Mississippi River. Visit nearby Lafayette –the capital of “Cajun Country” in the heart of the Acadian region. Blessed with picturesque bayous and marshes, Lafayette seasons its rich French heritage with Spanish, Creole, Cajun and American influences. Residents whose families have lived here for generations honor their unique past with an infectious “joie de vivre” attitude that quickly makes newcomers feel right at home. If more time is needed for your Deep South vacation, our New Orleans vacation package can be customized in any length. Brass bands and New Orleans have been creative partners since the late nineteenth century, blending military marches and African folk rhythms in distinctive performances that helped inspire jazz. 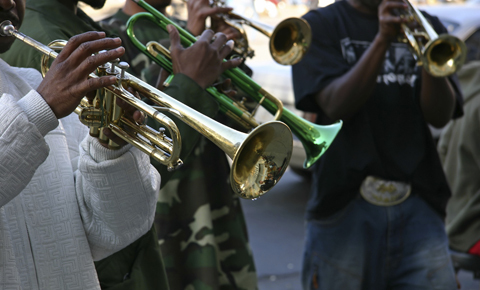 Walk down Frenchmen Street and you’ll find dozens of brass bands playing for tips. Or wander a wide selection of nightclubs offering blues, jazz, zydeco and more each night. 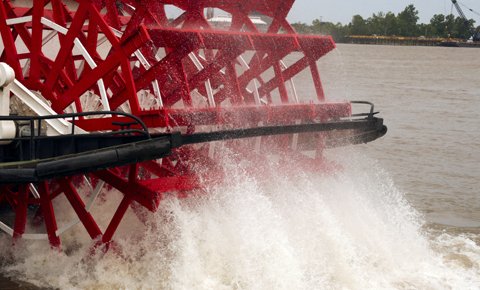 Take a step back in time with our Mississippi River paddleboat tour. The Steamboat Natchez will take you back to the days of Mark Twain as you enjoy unique riverfront views of the French Quarter and the banks of “Ol’ Man River.” Or for the more adventurous, cruise the bayous in our swamp tour! The St. Louis Cathedral is the most famous building in New Orleans, and the oldest Catholic cathedral in continuous use in the United States. This view (with the statue of Andrew Jackson at the center) is the most frequently photographed image of the city. The Cajun, American and European influences of the French Quarter await with historic architecture and around-the-clock jazz tunes emanating off the sidewalks. Think Louis Armstrong and Tennessee Williams when you saunter the steamy clubs. And you certainly haven’t lived until you’ve tried a fresh beignet dusted with powdered sugar paired with a cup of Cafe Du Monde coffee. Dixieland — the unique form of American music that developed in New Orleans in the early 1900s – is one of the many sounds that give the Crescent City its distinctive ambiance. 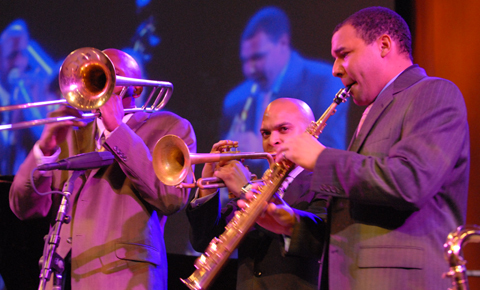 The traditional blending of trumpets, trombones, clarinets, string bass, and sometimes piano – seasoned with each artist’s improvisations – make every Dixieland “hot jazz” performance unique and entertaining. 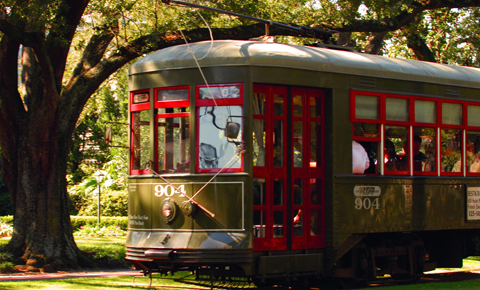 Sightseeing by streetcar is a convenient way to tour the city. The St. Charles Line features the oldest continuously operating streetcar in the world, complete with mahogany seats and brass fittings. The Desire line (which inspired the play title, “A Streetcar Named Desire”) no longer operates, but three other lines connect downtown with historic Canal Street and the attractions of the Riverfront district. 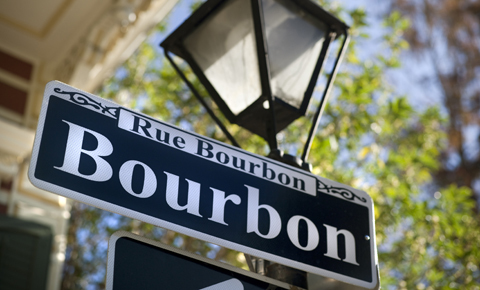 Our New Orleans package includes 4 night accommodations and multiple guided group tours. This Deep South vacation package is the perfect way to explore French, Cajun and Creole influenced culture of Deep South. Classic packages can be booked online. For deluxe packages, please email us your request. Every client receives hands-on personal attention from our professional staff with over twenty years of experience in tour operations and destination management services. We have personally been to every destination, eaten at every recommended restaurant, stayed at every hotel, and been on & collaborated with every guided tour.